Easter coupon from Kidstir kids cooking subscription: Get your first kit for 30% off! St. Patrick’s Day coupon from Kidstir kids cooking subscription: Get your first kit for 30% off! LAST DAY for Christmas Delivery! Holiday Deal from Kidstir kids cooking subscription: Get your first kit for 50% off! Kidstir Growing Up Guides coupon: get your first month 50% off for the holidays! LAST DAY for Christmas Delivery! Holiday Deal from Kidstir kids cooking subscription: Get your first kit for 50% off! Kidstir Growing Up Guides coupon: get your first month 50% off for the holidays! Don’t let this Cyber Monday Deal from Kidstir kids cooking subscription get away: Get your first kit for 75% off – that’s a $10 savings! Cyber Monday Deal from Kidstir kids cooking subscription: Get your first kit for 75% off – that’s a $10 savings! Kidstir Growing Up Guides first month $10 off for Cyber Monday! Kidstir Growing Up Guides first month $75 off for Black Friday – $9.90 shipped! Hot 2018 Black Friday Deal from Kidstir kids cooking subscription: Get your first kit for under $10 shipped! Kidstir Happy Cooking Kits and Kidstir Growing Up Guides deal – Get a FREE bonus pack with annual subscription! LAST CALL – Ends on Thanksgiving! Kidstir Happy Cooking Kits and Kidstir Growing Up Guides deal – Get a FREE bonus pack with annual subscription! LAST FEW DAYS! Kidstir has just launched a new line – the Growing Up Guides! Read all about this new subscription + spoilers + coupon! 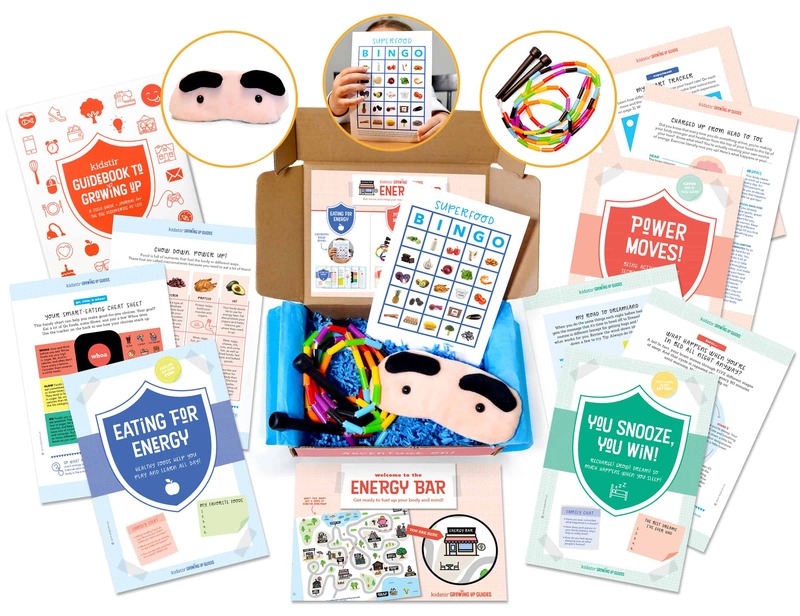 Kidstir kids cooking subscription box deal: Get a FREE bonus kit with a bake my day kit and recipe binder with annual subscription! Kidstir kids cooking subscription box deal: Get 30% off the first month of your subscription! New Holiday Deal from Kidstir: get your first kit 50% Off! Last chance! New Holiday Deal from Kidstir: get your first kit 50% Off! Extended until 12/17! Kidstir is a kids’ cooking subscription. Check out our review of the December 2017 box – theme was Winter Wonderland Cookies! New Holiday Deal from Kidstir: get your first kit 50% Off! Kidstir November 2017 box theme is Gobbling Good Fixings! See our review of this kids’ cooking subscription + grab coupon! LAST DAY: Hot 2017 Cyber Monday Deal from Kidstir: get your first kit for under $10 SHIPPED! Hot 2017 Cyber Monday Deal from Kidstir kids cooking subscription: Save $10 and get your first kit for under $10 shipped! Hot 2017 Black Friday Deal from Kidstir kids cooking subscription: Get your first kit for under $10 shipped! LAST CALL Kidstir kids cooking subscription box deal: Get a free bonus kit with taco truck fun kit, recipe binder with annual subscription!